Most aspiring hip-hop artists have no idea how to promote their music. They’re stuck in a horrible process of going to the recording studio (or recording in their home recording studio), uploading their music to SoundCloud, sharing the link on social media, and then expecting someone to hear their music and “put them on”. If becoming a successful rapper was that simple, every hip-hop artist would be successful. Handling the music marketing aspect of your career is not rocket science. However, it will take trial and error mixed with hard work to identify the strategies that work best for you and your audience. So, to help you avoid (or escape) the horrible process I listed above, I’m going to show you everything you need to know to successfully promote your music. Although both music marketing and music promotion are closely tied together, they are separate. Now, I must admit, I’m 100% guilty of using these terms interchangeably. But in order to help you as much as possible, you should at least understand the difference. Music marketing is like the job, whereas music promotion is just the task. Music marketing involves a lot more than music promotion such as branding, pricing, creatives, copywriting, and more. Music promotion involves getting your music into as many ears as possible. If you take a look at the number of successful rappers compared to those that aren’t, you’ll start to see similar patterns. Now, I’m by no means a data ‘expert’ and have not done any extensive research to back up my findings, but I still want to share what I think is the problem with music promotion in hip-hop. Hip-hop is plagued with spammy music promotion companies offering to get you 100k views on YouTube for $5 or send your music off to record label executives. These companies not only make it hard for music marketing companies that offer legit services to thrive, but they also give music marketing a bad reputation in general. To successfully promote your music, there’s one thing you need to understand: your audience. Your audience (or fans) will determine what music promotion strategies are effective or ineffective. For example: You could have the best music videos and YouTube promotional strategy in the world, but if your audience doesn’t care about music videos or YouTube – you’ll fail. So, before you start looking for tips, strategies, or techniques – learn as much about your audience as you can. A lot of people will say you need to know things about their age, income level, race, and etc.. However, during the early stages of your career (before you start making money) it’s unnecessary and will likely confuse you more than it’ll help. Now, that’s not all you should learn. The more you know about your audience, the easier it will be to promote your music. But don’t think that you need to know everything about your audience before promoting your music. Some things can only be learned while you’re actually promoting. Like I stated above, you must know your audience. Knowing your audience will help give you direction for promoting your music. If you know your audience, you should know (or be able to figure out) what platforms your audience spend the most time on. This is where you should start your music promotion. It will be difficult to figure out the ‘best’ marketing strategy for getting in front of your audience. I highly recommend you look at what kind of marketing they’ve responded well to in the past, and then use a similar strategy for getting in front of them. There’s no right or wrong strategy. Every strategy (regardless if it works or not) gets you one step closer to finding the best marketing strategy for your audience. Once you start getting in front of your audience, you’ll start to get feedback. I’ve seen artists promote their music and then stop because nobody is responding to it. The interesting thing about feedback is that no feedback is still feedback. If you’re not receiving any responses to your music, it usually means there’s a problem. Once your start receiving feedback, you need to utilize it. This usually comes in the form of improving something. Sometimes it’s the music, and other times it could be the strategy. Regardless of what you improve, make sure it’s based on the feedback you received. That’s a simplified version of the process. To go from step 1 to 5 can take weeks or months depending on how large your release is and how many people you have in between you and the fans (also known as feedback loops). The two examples above should give you an idea as to why one artist can grow faster than another. If one artist is able to get feedback and improve quicker than another artist, he’ll win over time. However, just because it’s a longer feedback loop does not mean it’s going to be slower. If the people involved in the feedback loop can work efficiently, a long feedback loop can be just as quick as short one. Note: As an artist, regardless of how many people you have on your team – always align yourself as close as possible to the fans. This will usually require you to be the decision maker for your career (something to consider if you plan on signing to a label). As you begin to grow as an artist, you’re going to have to hire an individual or company to handle your music promotion for you. The mistake that artists make when hiring a music promotion company is that they give little insights to the company on how they can help. You shouldn’t hire a music promotion company until you’ve promoted your music successfully and can tell the company exactly how you’ve successfully done it. This might sounds like you’re telling them how to do their job, but it’s not. You’ll be giving them direction, and if they’re a decent music promotion company, they should be able to optimize your strategy and get better results. Like I mentioned early on in this article, there are a lot of music promotion companies out there that will sell you services that won’t help you. However, by following a few rules, you can reduce the risk of wasting your money on scammy company. If the company you’re thinking about hiring is not transparent with what they’ll be doing for you, skip them. If a company can’t describe exactly how they’ll help you, it’s very likely that they can’t. Take a look at their online presence and how they communicate with you. If the company in question doesn’t act professional, proceed with extreme caution. Anyone can throw up a website and call themselves the CEO, but if they’re not professional with how they display their brand or talk to potential clients – you might want to avoid them. The music promotion company should be able to show you proof that they can perform the service they’re selling you. This won’t always come in the form of past clients but it can be as simple as running a free test if the company does not have any public proof. 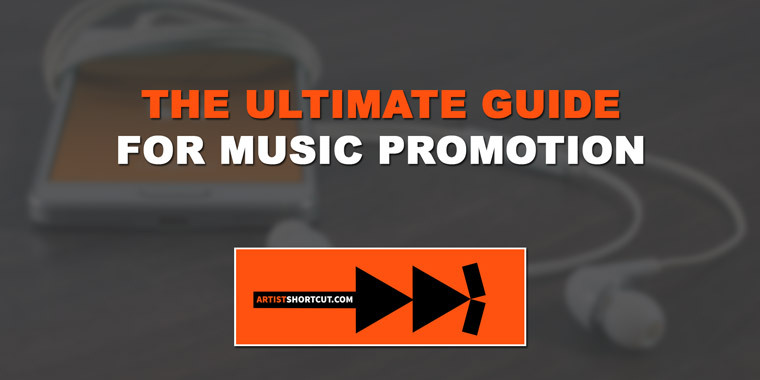 If you’re interested in getting more tips and strategies for promoting your music, check out all of our music promotion related posts below. If you have any questions about the different strategies below, leave a comment at the bottom of each article and I’ll try to help you out as much as I can – for free.